Are you tired of looking at that ratty old pet bed that's pushed over into the corner in your home? If you're lucky enough to share your life with pets, you're probably going to accumulate quite a few pet accessories to help enhance your pet's life and yours too! One accessory that's long been a pet peeve of mine are horrific looking pet beds. It's surprisingly difficult to find a decent looking pet bed that will not totally play havoc with the design aesthetic in your home. Okay, so I know that might sound a little bit shallow to say out loud, but really, what's the point in spending time carefully adding cool items to your home decor, only to have them painfully assassinated by a grotesque looking pet bed? And since I'm somewhat design obsessed, I'm always on the hunt for a pet bed that will not only make my dog happy, but also possesses a great design aesthetic too. 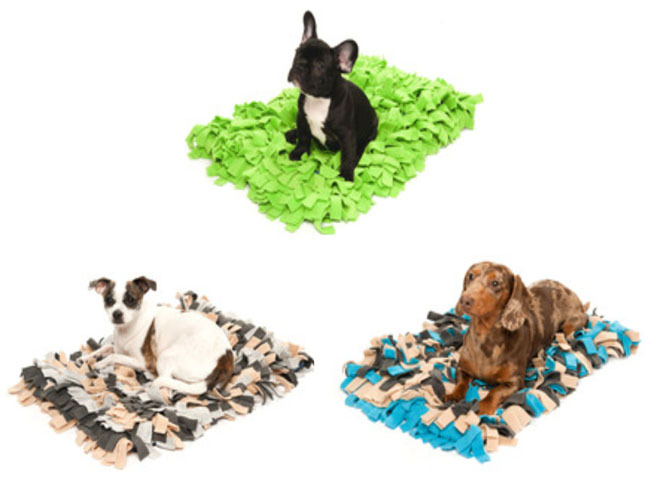 So you can imagine my excitement when I came across these cool Meadow Pet Rugs. Aside from looking really cool, another thing I love about them is they're lightweight and portable, so you can easily move them from place to place in your home, or take them with you when you're on the go or traveling. 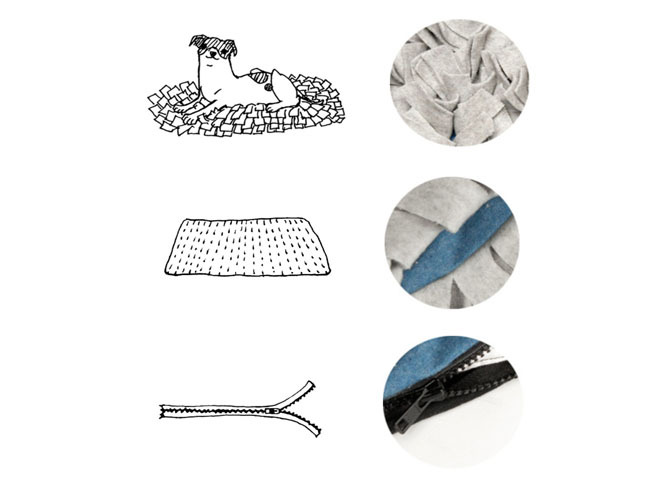 You'll feel good knowing they're made with a 100% Anti-Pill Fleece Top along with a 100% Cotton Flannel liner that helps hold the fleece in place and a side zipper closure that allows you to easily add your own cushion. 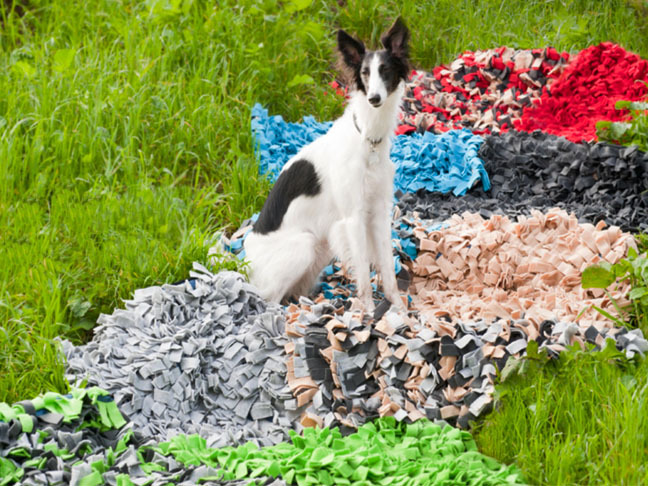 Plus they're available in a wide variety of color choices and variations, so there's sure to be one that will fit your home design aesthetic and send fido off to dreamland too.